The 2019 AGM will be held in Burnside at the Best Western Plus Dartmouth Hotel & Suites at 15 Spectacle Lake Drive, Dartmouth, NS. First Tuesday of the Month, from March to November each year. 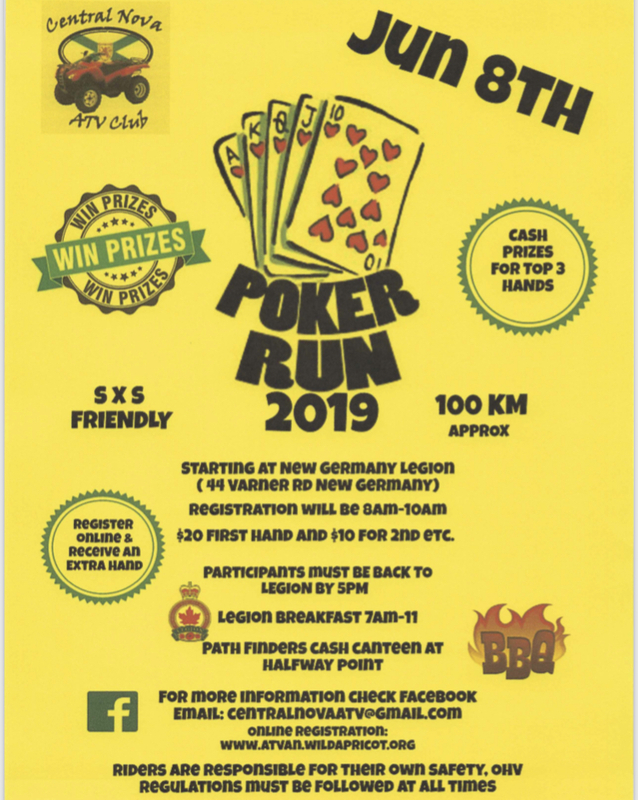 The Pictou County ATV Club meets at the New Glasgow Legion beginning at 7:30 pm on the second Monday of the following months, Feb, Mar, Apr, May, Jun, Sept, Oct and Nov.
All are welcome to attend our meetings. Come and visit us at our meetings and see what we are doing. Meets on 2nd Tuesday of every month at 7:00p.m. Then turn right down the power line, stay to the right to take you to the Clubhouse. Meetings every 3rd Thursday of the month starting at 7:30. 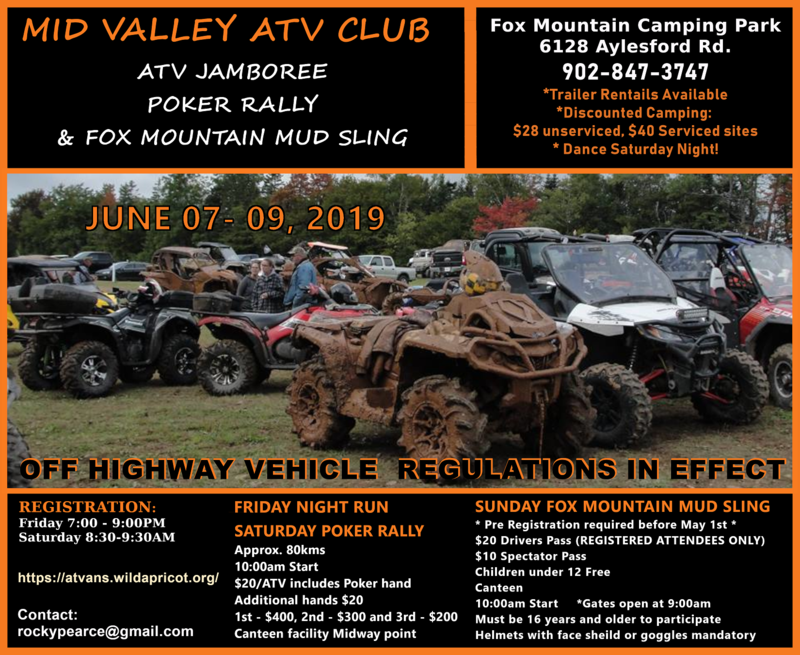 The Cobequid Off-Highway Vehicle ATV Club is having an ATV Memorial Rally in memory of Carl Canning and Gerald (Jake) Rushton..
18 Feb 2017 Cancelled !! 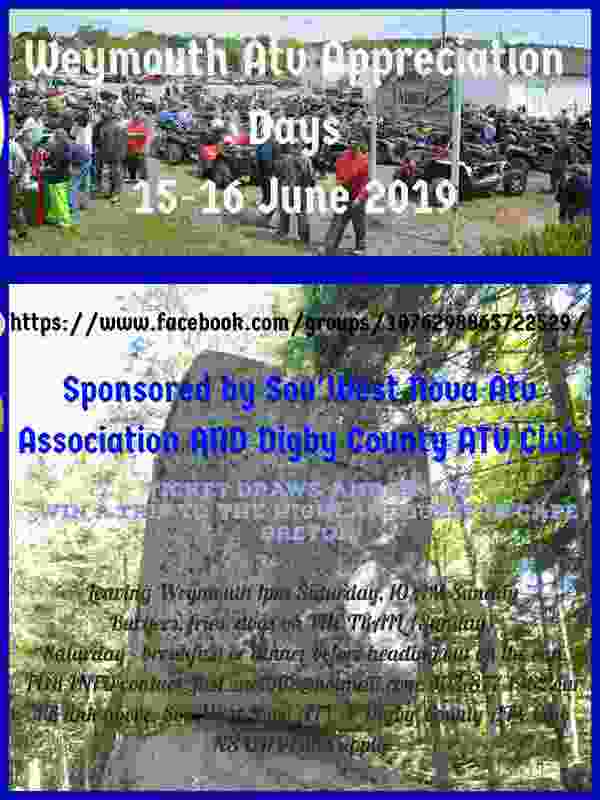 Hubbards ATV Rally "Luck of the Draw"
04 Feb 2017 Cancelled!! Shore Riders Fish and Chip Rally Cancelled!! 22 Oct 2016 Cancelled!! 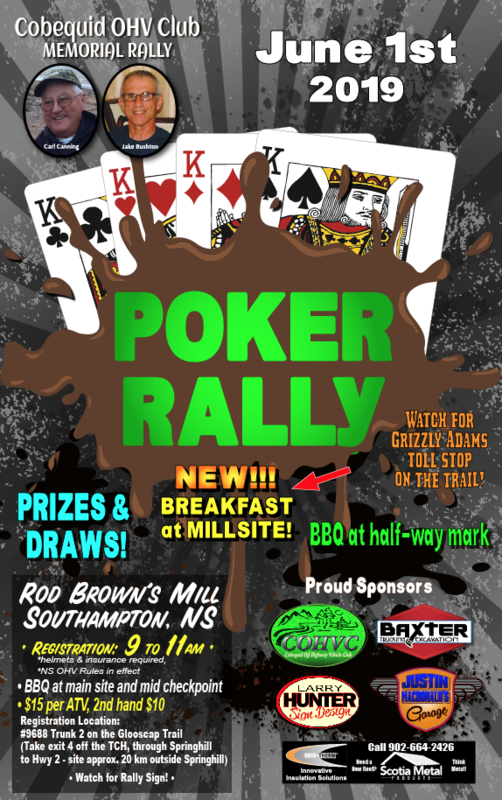 RALLY Fundy ATVentures Octoberfest Rally Cancelled!! 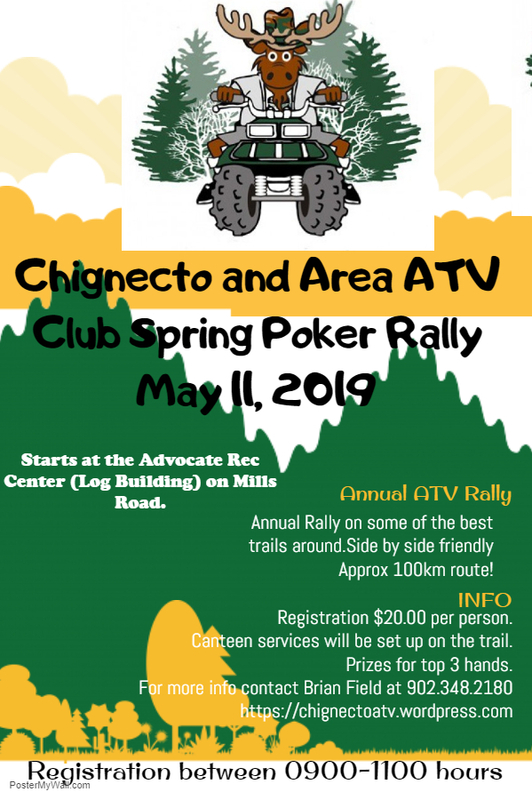 07 May 2016 Cobequid OHV Club Benefit ATV Rally for Springhill Fire Dept. 23 Jan 2016 CANCELLED !! 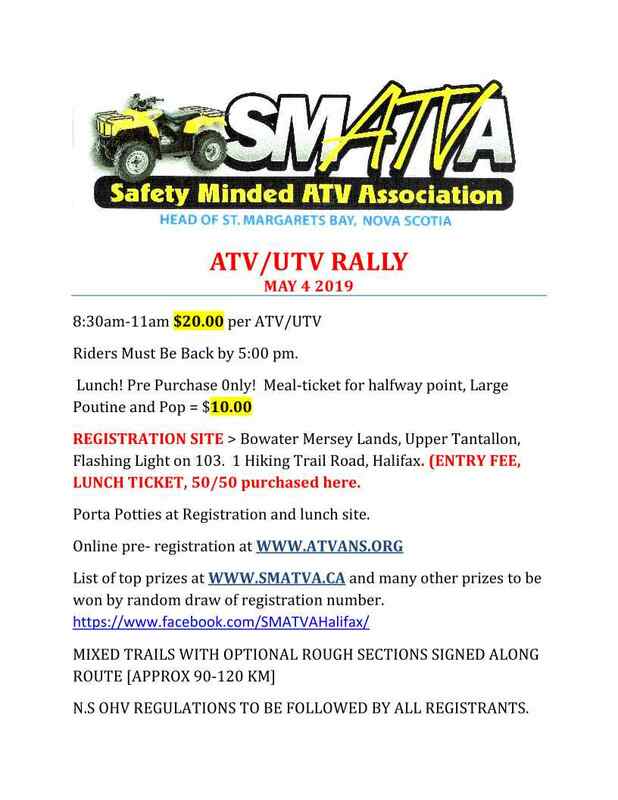 !SMATVA ATV Rally CANCELLED!!! 08 Aug 2015 Marine Riders popular "Night Run"
07 Jun 2015 RAIN DELAY !!! Broadhorns - Fishing Derby RAIN DELAY !! !